We are proud to announce that we’ve received The Manufacturer of the Year Award from the Independence Council for Economic Development. This honor celebrates the successes of manufacturers in Independence, Missouri. Post Press Specialties has been recognized for our innovations, philanthropy, technological advances and commitment to customer satisfaction. Post Press Specialties has a reputation for being a cutting-edge, market-leading manufacturing company that delivers state-of-the-art print finishing services which positively impact the lives of their customers. Post Press Specialties’ impeccable knowledge of the marketplace and their dedication to the commercial printing industry were key factors in the Independence Chamber of Commerce’s decision. We couldn’t be happier to be a part of the thriving Independence community. Consistently meeting deadlines is the foundation of a successful commercial printer’s reputation. A recent printing industry study showed that up to 76% of a typical printer’s workload is time-sensitive. The good news is that 96% of commercial printing jobs are completed on-time. The bad news is that the remaining 4% is costing manufacturers billions of dollars each year. Failure to meet deadlines on a regular basis will create a negative image of your business and could cost you your future. For commercial printers, one of the main culprits of missed deadlines is when finishing equipment inevitably fails. The sad truth is that no matter how diligent you are following all maintenance protocols, post press finishing equipment will eventually fail. 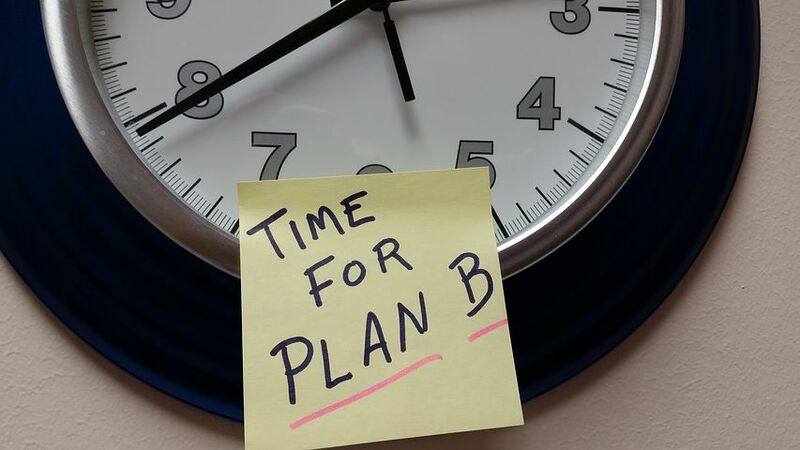 That’s why it is so important to have a “Plan B” in place to help you through those rough times. With over 140,000 square feet of manufacturing space and 75 print finishing production machines Post press Specialties can help you keep your promises without your customers even knowing there was an issue. We’re specialists in foil stamping, foil embossing, die cutting, kiss cutting, scoring, folding and gluing, perfect binding, saddle stitching, 3D spot varnishing and much more. Think of us as your “break in case of an emergency” bindery department. We’re here for you when you need us most. Post Press Specialties, serving the commercial printing industry for over 25 years. In a recent study conducted by the Print Industries Market Information and Research Organization, researchers found that adding print effects and finishes can increase a printed piece’s shelf life up to 49%. Arguably, shelf life is a key component in evaluating a campaign’s profitability. Post Press Specialties specializes in creating state-of-the-art finishing techniques that not only will increase engagement but its effectiveness as well. Gloss UV coating provides a clear coating with a high gloss. Not only does gloss UV coating look great, it can help protect your piece..
UV coatings are a liquid-based, protectant coating that is applied and instantly cured with UV drying lamps. Compared to aqueous coatings, UV coatings provide an extreme-glossy finish and can deliver an abrasion- and rub-resistant performance. A great way to add a tactile or more dramatic effect is by using a raised UV coating effect. Adding more coating volume brings more added dimension that can accentuate the art or graphic, as well as invite the consumer to engage and touch. If a luxurious shimmer appearance is what you’re looking for, then a pearlescent coating is the way to go. Pearlescent coatings can be either aqueous or UV-based. For UV-based coatings, a specific quantity of pearl additive is mixed with a gloss UV coating. Depending on the variation and size of the micron particle, the pearlescent coating can have a more dramatic or subtle effect. The AQ-based version of this coating is similar but is mixed with a gloss AQ coating and pearl additive. Varnishes serve many purposes included being used as a protectant to the sheet and, in the case of a dull varnish, can be used to create great contrast (step-off) against a higher gloss. Like coatings, varnishes can be applied to very specific areas (spot varnish) or can be applied to a large print area or the entire press sheet (flood varnish). This coating is known for their coarse and rugged tactile effect. Although it is softer than a sheet of sandpaper, the reputation of this coating is the grittiest when it comes to tactile coating effects. The grip of the coating is useful as a non-slip surface and works well in applications for multi-use packaging. Sandpaper coatings are more subtle than grit coatings and provide only a slightly rough texture. The coating is similar to some unglazed clay work and gives plastics and paper products a slightly edgy feel. In both coating applications, you can control the amount of texture that is applied on the sheet by the size of the billion cubic micron (BCM) rollers. The smaller the BCM rating of the coating roller, the lesser the amount of coating it can carry and be applied to the sheet and vice-versa for higher BCM’s. Both grit and sandpaper can be used on a variety of substrates that allow for a stimulating tactile experience. This effect is accomplished with a foil stamping machine that uses a metal plate that has been engraved with an image of the desired design required for the particular application. As the plate strikes a roll of foil film, it causes the foil to adhere to the plate. The metal plate then strikes the substrate that is to be imprinted and transfers the foil onto the area of the document requiring the metallic effect. The result is a document that has a highly reflective image with a bright and dense metallic appearance. Adding a metallic foil to your design provides variation in texture while starkly highlighting certain brand or graphical elements. Try combining foil with embossing or debossing to add depth to the product. The image on the right is an excellent example of a successful execution of an aggressive and impressive deboss with the use of metallic hot foil stamp. Observing closely, the real craftsmanship came with the ability to hold the adhesion of the hot foil stamp in the very fine areas of the snow flake, especially as a deboss was done as well. Using a holographic foil or rainbow foils gives the package or piece the ability to change color combinations when viewed at different angles. This is a great way to add a pop of color to solid packages. 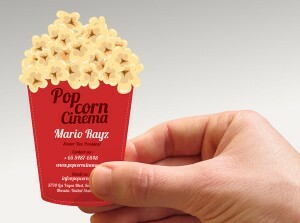 Holographic foils provide a fun and sophisticated flair to product packaging. Having clear foils provide high reflectivity, yet allow the printed image to be seen underneath. This is particularly useful for foods, beverages, consumable products and health and beauty offerings. It can also be used to give customers a preview of a new product. Foils used for security purposes may include geometrical shapes, patterns and even brand logos that shift as the viewer changes focus. Take advantage of the mesmerizing effect by using it in a solid block rather than a border or small stamp. For security measures, a foil with micro-etching can help prevent counterfeiting of items such as high-value coupons (shown above) that could easily be duplicated, causing retailers major losses as manufacturers will not recompense fraudulent coupons. Perfect for small or large accents, foil is a beautiful finish to catch customers’ eyes. Die-cutting, a post-press finish, allows packaging and print pieces to have unique cutouts that can vary from simple to extremely complex. From shapes to letters, die cutting draws attention to the dimensional nature of the piece and the character of the substrate itself. We’ve been helping the commercial printing industry “finish strong” for over 25 years. Give Post Press Specialties a call at 816-257-1919 and we’ll be happy to talk to you about your next project. We’re putting the “Post” in “Post Office”. We’re proud to announce that we now offer a wide variety of mailing services, from addressing your pieces to delivering your completed campaign to our local post office…and everything in-between. Post Press Specialties provides state-of-the-art mailing services that make it easy and affordable to create and process business-building direct mail campaigns. When combined with our print enhancement capabilities, our efficient and cost-effective mail processing services will assure the best possible presentation and delivery of your marketing message. We’ll make sure that your mailings are NCOA and CASS certified on the same day the mailing is sent, ensuring the highest deliverability, the best postal rate, and savings on lost postage. The success of any mailing campaign depends on proper mailing list processing. Before a mailing project makes it to our production floor, our data processing staff prepares the mailing list using the best technology available. Our industry-leading mail processing software allows us to cleanse and prepare a mailing list to get our customers the lowest postage rate possible. We’ll make sure that your campaign is delivered to the post office and is seamlessly processed. Let Post Press Specialties take all the stress out of distributing your next piece. You’ve got more important things to do. At Post Press Specialties, we know that speed and quality are essential for each and every job. We’re experts in offering print enhancements that will add considerable value to your piece. We work around the clock to cut, fold, glue, varnish, and bind for you and your customers. Call us today at 816-257-1919 and we’ll be happy to help you with your next job. I’ll never forget that early fall day in 1969 when I came home from school and my mother handed me a letter from the United States Selective Service. 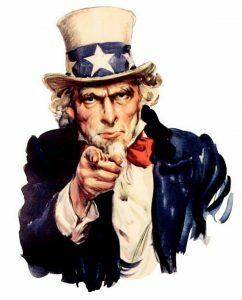 I immediately opened the impressively decorated 9” x 12” envelope and found a poster of Uncle Sam declaring he wanted me with my name prominently printed right next to his bony finger. Oddly, my mother did not express any sadness or anxiety, in fact, she grabbed the letter and started to laugh. Why did she react in this odd way? It was probably due to the fact that I was SIX! Direct mail targeting has come a long way since the sixties. Brands have become so good at targeting their messages that we’ve come to expect a certain level of personalization and are disappointed when our expectations aren’t met. In order for brands to create this level of personal connection, they’re relying on complex segmenting approaches such as variable data printing. Variable data printing is a form of digital print production that allows for pinpoint customization. Instead of sending say, 10,000 identical direct mail pieces to customers, marketers can use variable data printing to create10,000 customized pieces in the same amount of time. Sending customized direct mail to each recipient raises conversion rates. At Post Press Specialties we know how effective variable data printing can be. Using our state-of-the-art data aggregation processing systems, we can help you tailor a unique message for each member of your database. This goes far beyond simply printing unique address labels. 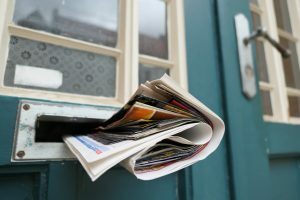 Depending on how many data points you have, direct mail pieces can be fully customized for each prospect. For example, a university can target high school students and include references to their current high school, their fields of interest and even the clubs and associations they belong to. 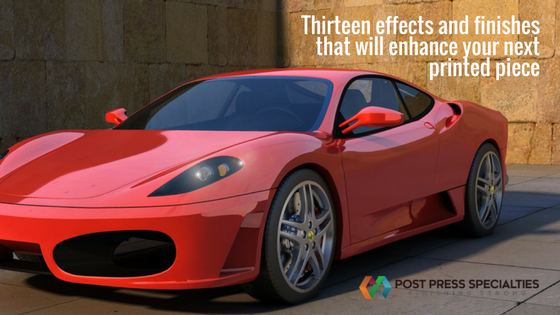 Images can be seamlessly altered and reflect particular points of interests to the recipient. 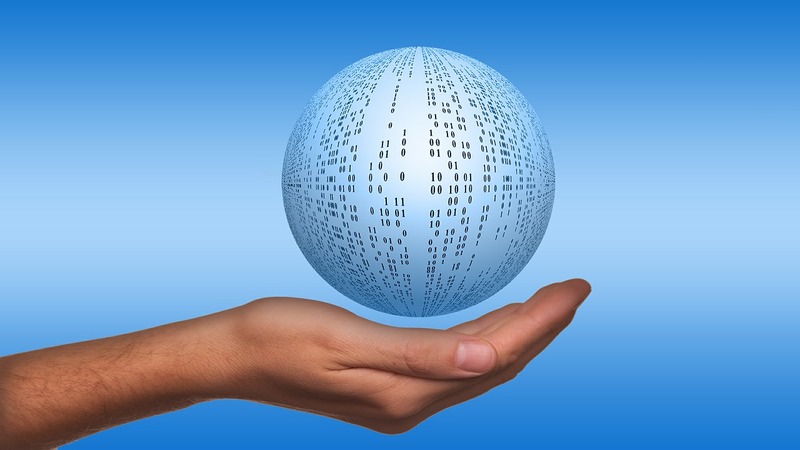 Leveraging Data: why collect customer data if you aren’t going to use it? Variable data printing makes the most of reporting software, redemption rates, and other analytics by using that information to create tailored campaigns with greater impact and engagement. Endless Customization: variable data printing goes beyond marketing segmentation to create hundreds or thousands of completely unique pieces for a single campaign. Quick Turnaround: variable data printing doesn’t require each variation to be ordered, printed, and shipped separately. Instead, thousands of unique printed pieces are executed at mass production rates, making personalized marketing not just simple, but fast! Be assured that Post Press Specialties can meet your deadline. Increased ROI: PODi and DMA data report that while response rates for non-personalized mail pieces average 2%, personalized pieces have a response rates of 6%—an increase of 300%! The vast majority of shoppers (86%) say that personalized marketing impacts their likelihood of making a purchase. 94% of marketing professionals across industries said personalization is “important,” “very important,” or “extremely important” for meeting current marketing objectives. Nearly a third of shoppers (31%) wish their shopping experience was more personalized. 67% of shoppers who’ve experienced personalized marketing are highly in favor of personalized offers based on past experiences. 96% of retailers believe that personalization influences what consumers buy. Only 39% of retailers currently send personalized product recommendations via email. Most brands claim that personalization is a part of their current marketing strategy, with 85% agreeing that their efforts are based on broad segmentation. Though personalized messages deliver six times higher transaction rates, only 30% of brands are sending them. 60% of marketers say they struggle to personalize content in real time, though 77% believe real-time personalization is crucial to marketing efforts. 73% of consumers prefer to purchase from brands that use personal information to create more relevant shopping experiences. 45% of online shoppers are more likely to patronize sites that make personalized recommendations. 40% of consumers buy more from retailers who personalize their shopping experience across all marketing channels. 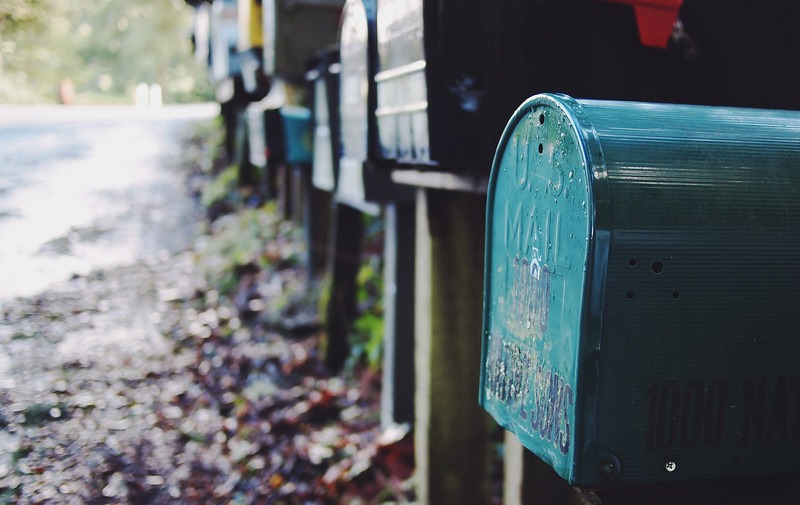 The data tells a clear story: when it comes to direct mail marketing, it pays to personalize. Raise engagement rates and boost ROI by making variable data printing a central part of your marketing strategy. Not sure where to start? Post Press Specialties is happy to help! Call us today at 816-257-1919. If you wan t to attract more customers and keep them engaged longer, foil stamping might be the perfect solution. 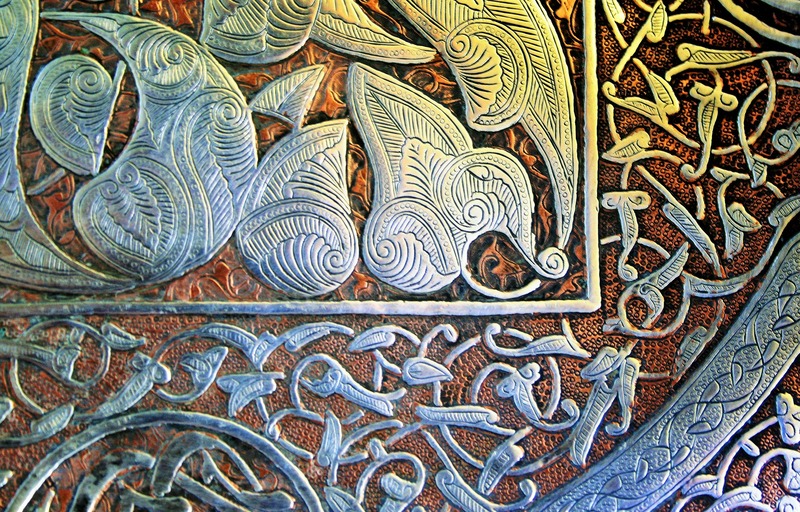 In a recent study conducted by The Foil & Specialty Effects Association, researchers found that virtually every type of printed piece can benefit from this versatile and cost effective finishing technique. This is why many industries utilize foil stamping for their B2B marketing and packaging. Next time you are in a grocery story, take note of the many products that are using this technique. In marketing, first impressions are key, and a product marketed in a foil-stamped package may have a higher perceived quality and value than one in a standard package. In addition to increasing the perceived value, foil also draws attention, which can make a particular product stand out among a crowd of competition. Consider the findings of Thales S. Teixeira in his white paper, The Rising Cost of Consumer Attention: Why You Should Care, and What You Can Do about It (Harvard Business School). Simply put, brands that are successful attract consumers and keep them engaged. Hot foil stamping is a cost effective way to achieve that goal. Over the last twenty-five years, Post Press Specialties has created stunning and effective pieces on a multitude of different stocks and substrates. Shiny gold, silver and other metallic foils are sure to grab attention in even the most crowded retail spaces. Foil stamping will not only help your product stand out, but it will also add a touch of elegance that will appeal to many consumers. We offer a wide selection of foil colors, finishes and effects from which to choose, to help individualize the style of your product packaging. Over the last two and one half decades we have foil stamped business cards, booklet covers, pocket folders, stationery, holiday cards, invitations, labels, seals and postcards. 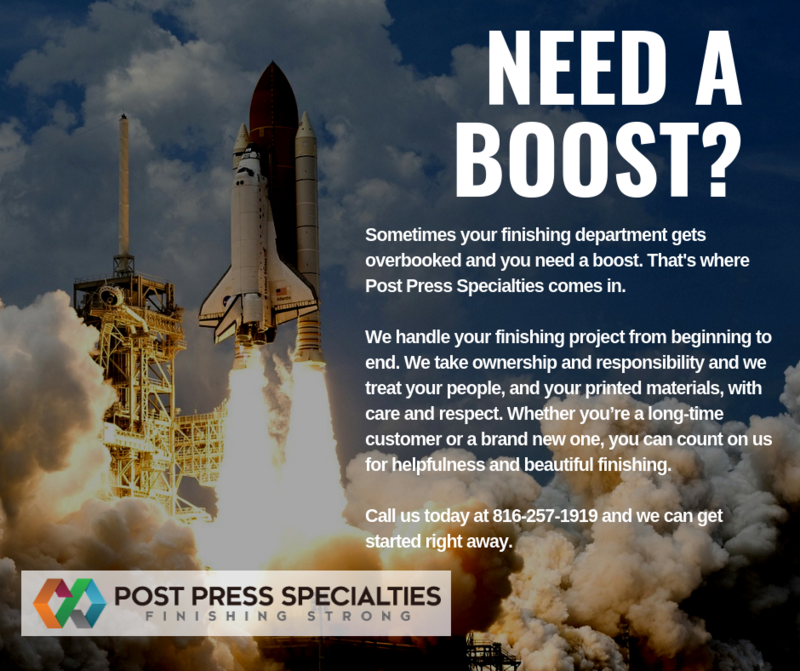 Call one of the largest binderies in the Midwest, Post Press Specialties at 816-257-1919 and we’ll be happy to discuss your next project. We’ll help you finish what you’ve started. If you’re looking for a way to increase shelf-life and durability of a marketing piece, lamination might be the perfect solution. Simply put, lamination is the process of enclosing a printed piece by applying a permanent transparent film (or plastic) to both sides. Not only does the transparent film add strength, rigidity and protection it also enhances the appearance of the printing by deepening and brightening the ink colors. In an effort to provide state-of-the-art finishing services to the commercial printing industry, Post Press Specialties just added an Autobond 76 TPE Laminator. In honor of our new arrival, let’s review some of the benefits and applications of lamination. 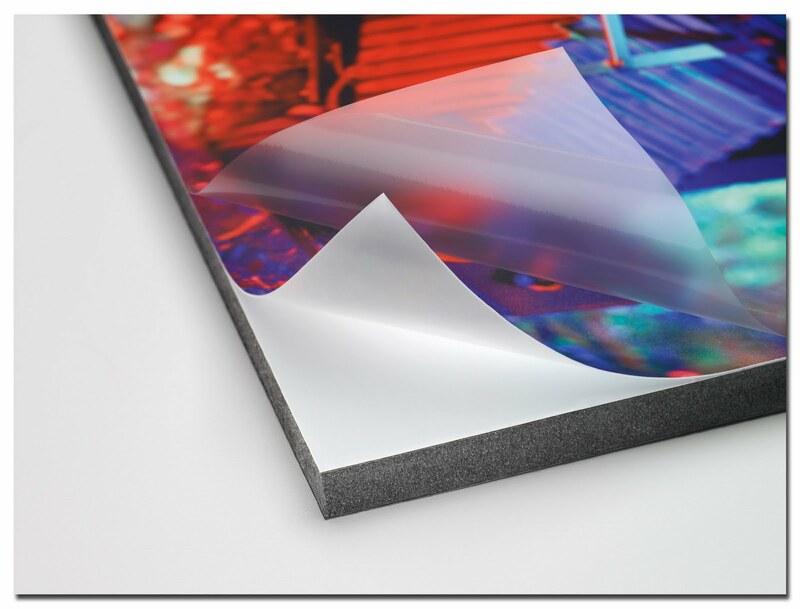 Durability – Lamination increases the durability of print materials, allowing them to withstand frequent use. Protection – Need protection against fingerprints, smudges, stains, spills, tears, wrinkles, marks or abrasions? Lamination is the perfect solution. Plastic enclosures also protect against oil, grease, dirt, moisture and other contaminants. Appearance – Proper lamination improves the appearance by enhancing the ink colors of the printed piece. This creates a more professional look and holds attention longer. 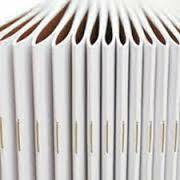 Quality – Lamination gives the impression of higher quality and importance. Versatility – Our Autobond Laminator can laminate one-side, two-side or edge sealed. This state-of-the-art laminator can handle sheets as small as 9” x 12” all the way up to 29” x 41”. It can also accommodate any substrate between 80# text and 24 point. Cost effectiveness – Since lamination increases the longevity of print materials, it saves money on reprinting. if you have any additional questions about the benefits and uses of lamination, give one of the Midwest’s largest binderies, Post Press Specialties, a call at 816-257-1919. We provide print finishing services for short or long production runs. We’ve been “Finishing Strong” for over twenty-five years. More than likely, your printing job requires much more than just the standard ink on paper. This is especially true of projects that ultimately will be mailed. That’s why Post Press Specialties is now offering complete mailing services. It’s just another way we’re servicing the commercial printing industry. • Mailing List Processing – We’ll take your list and input it into our system for easy processing. • NCOA and CASS Certification – We’ll clean up bad and identify any potentially undeliverable addresses in your mailing list. 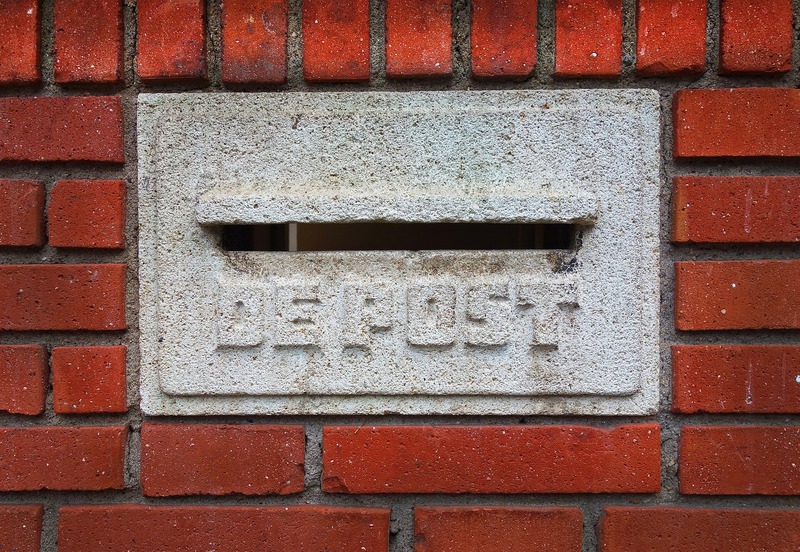 No need to spend money mailing to bad addresses. • Addressing – For just pennies a piece, we can ink-jet the destination address, return address and mailing indicia all at once using our new high-speed addressing machines. We’ve just added a M6 Hawk Variable Ink Jet Printer, the gold standard in the industry. • Variable data – Customize your mail pieces with personalized greetings, offers or sequential numbering either during or instead of the addressing process. • Tabbing and gluing – The latest technology makes it easier than ever to tab or seal folded brochure mailers. • Camera Systems – Our new LogicTech DVMC System offers seamless read-and-print capability, Ability to read and decode 2D Datamatrix codes, OCR and even complete address blocks. Reading and matching barcodes has never been easier. As a family-owned business, we know the importance of hiring qualified employees who share our customer-oriented sensibilities and ethics. 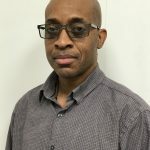 We’re proud to introduce Rod Simmons as our new Mailing Supervisor. Rod has worked for a diverse range of organizations in the Kansas City area including Strahm Automation, Marketing Technologies and C&S Mailing Resources. Rod’s varied background in mailing, database management and graphic design provide the perfect complement to Post Press Specialties finishing services. Still have questions on all your mailing options? Give us a call and we would be happy to assist in answering your direct mail questions or help quoting your next project. For over 25 years, Post Press Specialties have been offering state-of-the-art print enhancements to commercial printers throughout the Midwest and beyond. Give one of the largest binderies in the United States a call at 816-257-1919. Post Press Specialties offers a wide array of different binding options. We’re experts in perfect, wire-o, plastic coil, spiral wire and concealed binding. We’re also proficient in stitching applications such as loop and saddle stitching. Of all the softcover book binding methods we offer, saddle stitching is one of the most popular. Saddle stitching is perfect for a variety of book types, such as: catalogs, manuals, booklets, programs, multi-page brochures, newsletters, periodicals, wall calendars and mailers. Saddle Stitching is a relatively simple method that joins the folded pages and cover with at least two wire staples placed through the crease of the book’s spine. For over twenty-five years, we’ve been assisting commercial printers throughout the Midwest, helping them to produce professional looking documents. Cost – Oftentimes, saddle stitching is the least expensive option. Turnaround Time – Usually saddle stitching takes less time than other binding methods. 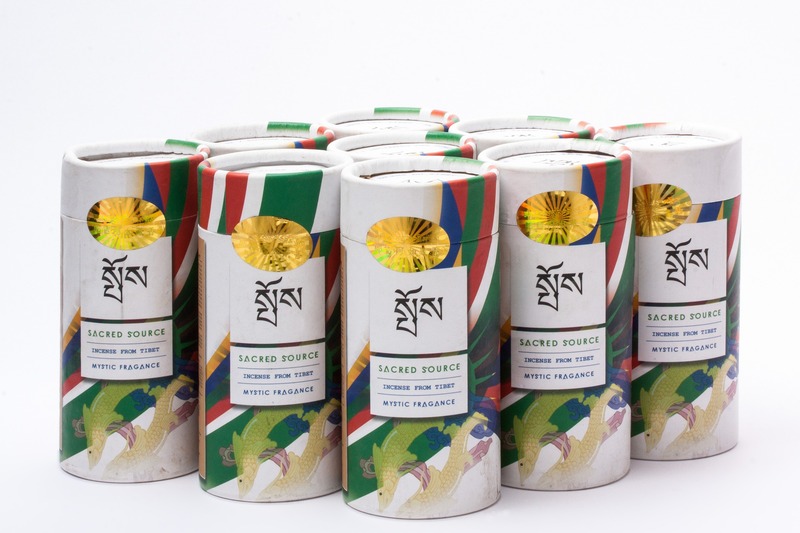 Small Quantities – It can be used for very short production runs. Size– saddle stitching can be used for a wide variety of sizes. Design – Designing a saddle stitch piece is generally very easy. Mailing – Saddle stitching will add minimal weight to a printed piece. This is especially important for pieces that will be mailed. Versatility – Saddle stitch projects can be printed in color or black and white. Thickness – Depending on the weight and caliper of the paper stock, saddle stitching might not be a good option. Bulky books might be too thick to fold properly. Post Press Specialties will be happy to discuss any and all specifications. Spine – There is no room to print anything on the spine. This is a problem for certain projects. Power of Four – Saddle Stitched books are created from folded sheets, thus the page count must be in multiples of four. 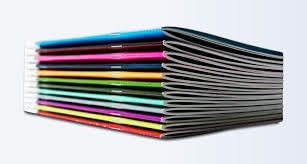 If you have any questions about saddle stitching or any of our print enhancement and bindery services, please don’t hesitate to contact Post Press Specialties at 816-257-1919. Located in Missouri, we’ve been serving the commercial printing industry for a quarter century. Post Press Kansas commercial printing company and print finishing services. In 1965, 3M became the first company to experiment with sensory enhanced printing. While developing microencapsulation for their carbonless paper products, the 3M engineers discovered that they could create a coating that would release an odor when scratched. The result was the advent of “scratch and sniff” technology and the birth of sensory branding. Over the last fifty years, advertisers have tried to appeal to all five senses by incorporating sensory cues in their marketing. According to a research commissioned by Martin Lindstrom, brand consultant and author of Brand Sense – Build Powerful Brands through Touch, Taste, Smell, Sight, and Sound, media that appeal to multiple senses can increase brand impact and engagement by more than 70 percent. 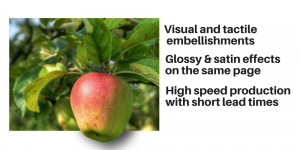 Creating impactful printing that engages multiple senses poses a big challenge for marketing managers, especially those who have limited budgets. Thankfully, advances in print finishing techniques have driven down the cost of sensory print enhancements. Print is no longer static and strictly 2-dimensional. For twenty-five years, Post Press Specialties has helped commercial printers create pieces that engage multiple senses, especially touch. A 2015 report from the Shullman Research Center, articulates the effect touch has on purchases. Forty-eight percent of respondents reported that they have bought a luxury product (priced at $1000 or more) based solely on touch. Without a doubt, paper stock is important, but print enhancements that concentrate on touch can help ensure that a piece will be a success. 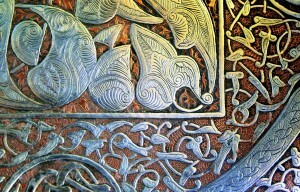 We’ve become one of the Midwest’s largest binderies by offering a wide range of specialty printing techniques such as embossing, foil stamping, spot 3D varnishing, die cut and letterpress. Most of these enhancements can be applied to most paper stocks and substrates. Call us today at 816-257-1919 and we’ll show you how to use print finishing techniques to you and your customer’s advantage. We love to show off our equipment, ask about our plant tours. © 2019 Post Press Specialties.